I went to Honda to buy out my lease; what should have been a simple and quick process ended up being a waste of 2 hours when they gave me the run around on financing. 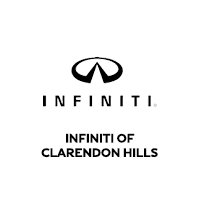 I was referred to INFINITI of Clarendon Hills by a friend to purchase my car. I had no idea this was even an option. I worked with Rishi Nath who was able to guide me through purchasing my lease with them with absolutely no financing issues. I even got an extended warranty! I had a great experience with the the manager Joe Belmonte who made everything work out for me. Also huge thank you to Garrett Soderlund, the finance manager, who made it easy to get me on the road. I will definitely recommend all friends and family to these guys and I’ll definitely be back myself when I get my next car! Thank you again to Rishi, Joe, and Garrett!! Very pleasant experience. John was very patient, friendly and knowledgeable. It was great working with him! We would definitely come back for our next purchase. Abel was also very helpful in explaining all the car details. I would highly recommend INFINITI of CH for your next car purchase. Alex and Gary were super informative and extremely patient. I was interested in a used q50 and they showed me numerous cars. They were not pushy and spent as much time as was needed in order for me to make an informed decision. I am very pleased with my purchase and although I am from out of state I would gladly make the trip back for my next vehicle. INFINITI of Clarendon Hills carries an impressive selection of new and pre-owned cars, crossovers and SUVs in Clarendon Hills. No matter what vehicle you might have in mind, we’ve got the perfect fit for you. If you’re looking to lease your next INFINITI, we have you covered. INFINITI of Clarendon Hills also has an extensive collection of quality pre-owned and certified vehicles. Whether you’re looking for new or pre-owned, INFINITI of Clarendon Hills is your trusted dealership in Clarendon Hills. We look forward to seeing you soon. INFINITI of Clarendon Hills	41.8097011, -87.9626544.